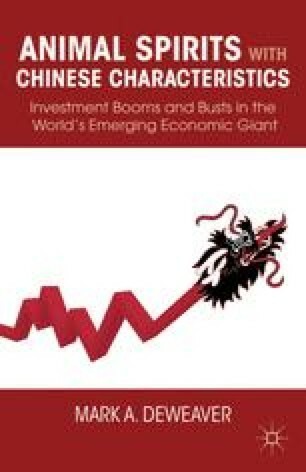 Chinese investment cycles result from a collective action problem facing the Party and its members. On the one hand, overinvestment is undesirable for the Party as a whole because it is economically destabilizing. Individual decision makers, on the other hand, do not take the macroeconomic effects of their actions into account. For local officials, the optimal level of investment may be practically unlimited, particularly when the objective is to advance their own careers or to provide a vehicle for corruption. What is brought about by history will be done away with by history.